Are you wondering where to download an easy-to-use weekly school calendar? Stop searching now and download our free printable weekly school calendar template now! We provide free 2018 calendar templates in many formats including Word, Excel, and PDF. This Microsoft Excel calendar works pleasantly with other writing applications like OpenOffice, LibreOffice and Google Docs. Most of the templates are available in portrait and landscape format. This will improve your weekly productiveness, efficiency, and effectiveness. The templates are blank, printable and macro-free and are easy to edit, amend, save and use again later. Also easily customizable to add or change the public holidays. Using our calendar templates guarantees you will save time, cost and efforts! 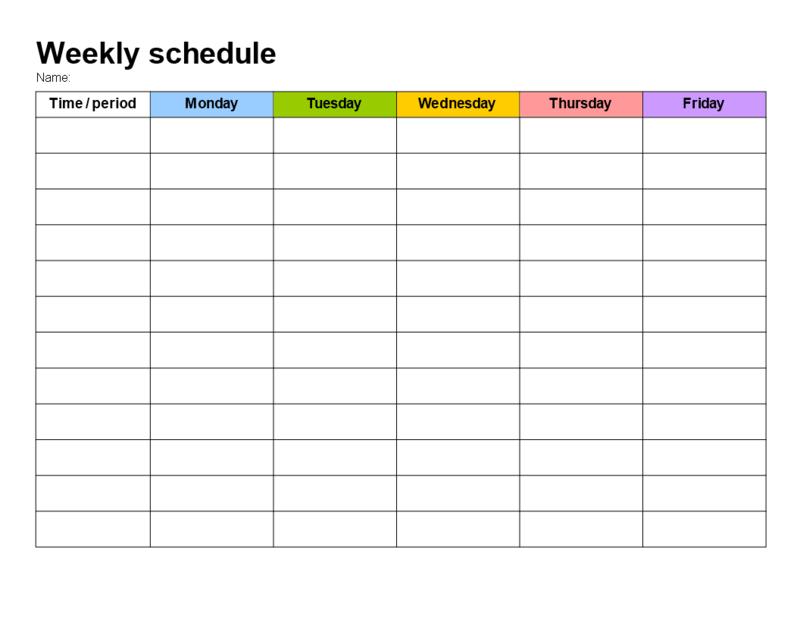 Download this Weekly School Schedule template now.